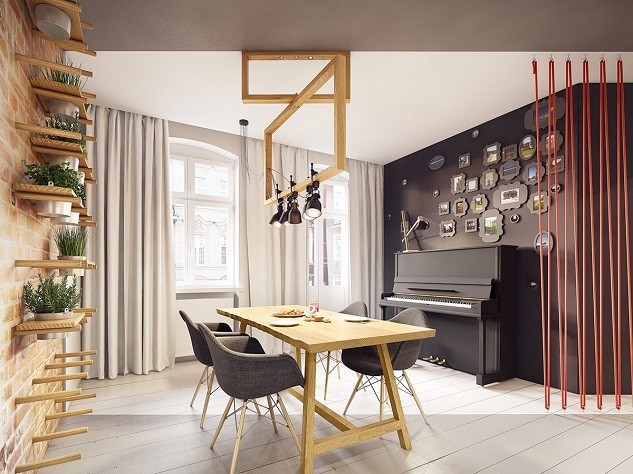 nice apartment decor that is support all the activities of its inhabitants. 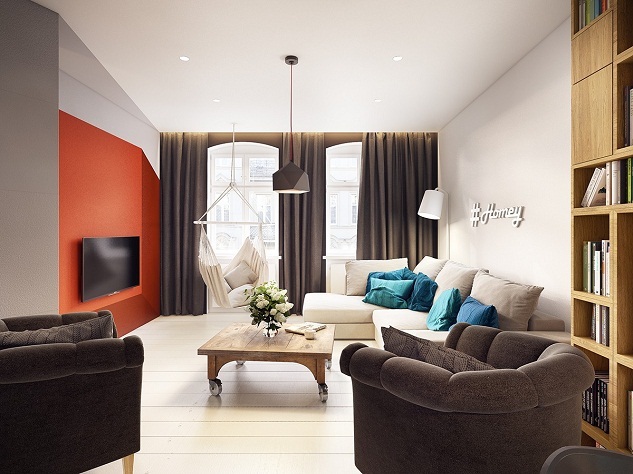 elements of comfort and functionality are the main thing in an apartment decor. 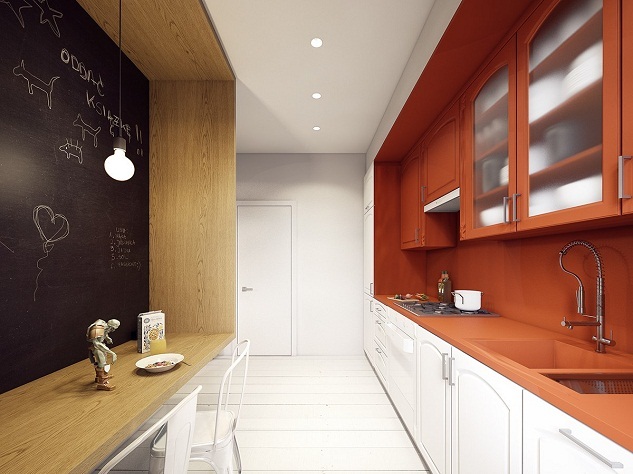 for you are planning on renovating or redecorating an apartment, you can try the apartment decor ideas by PLASTERLINA. 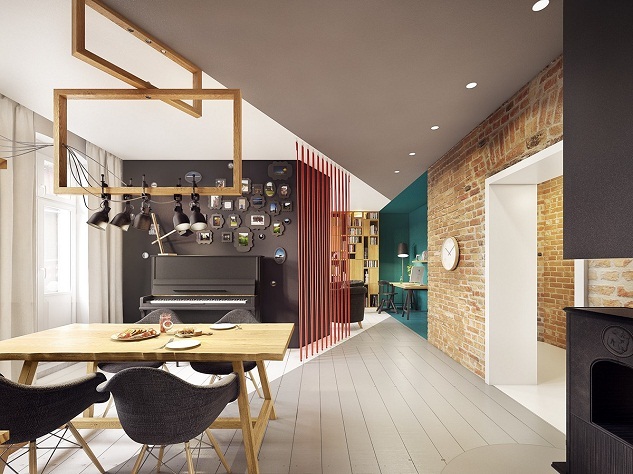 a modern apartment with a blend of contemporary style and rustic style with energetic colors and stunning geometric decorations. 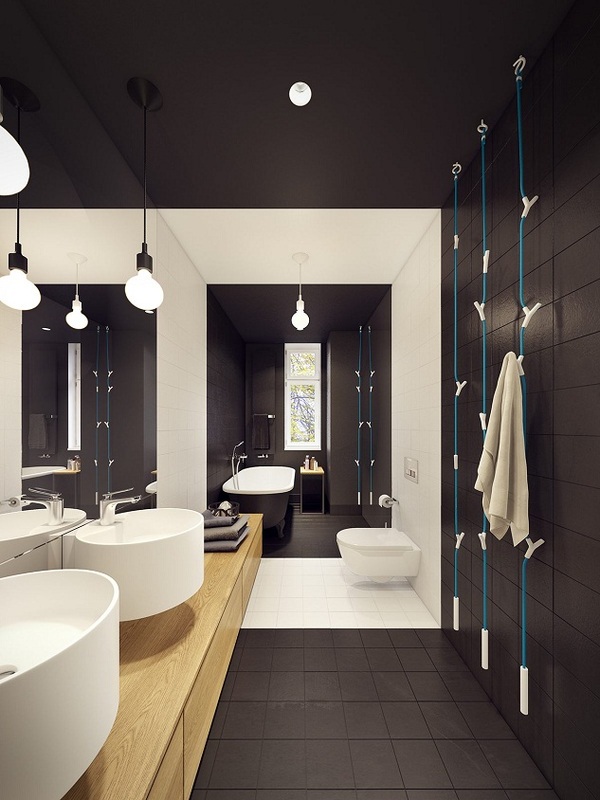 see detail apartment decoration ideas on the post below. 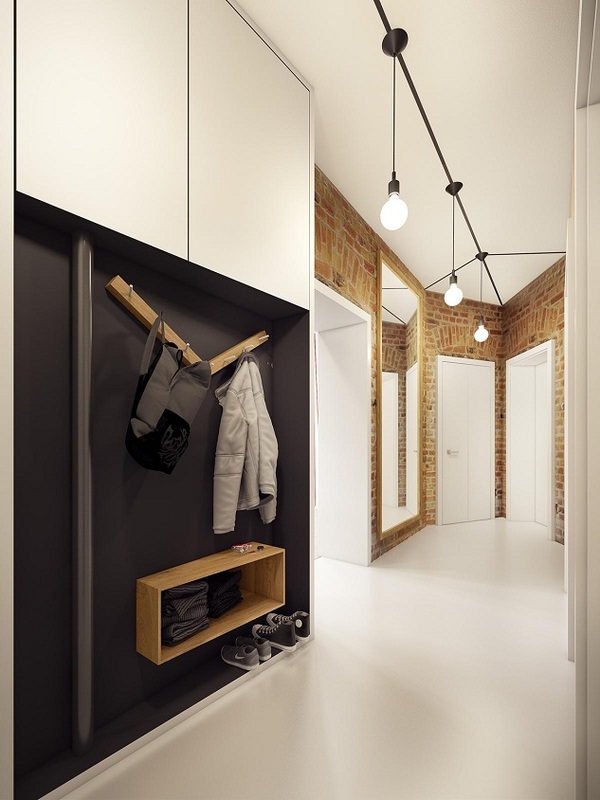 when opening the door, you are greeted hallway with floor and ceiling. 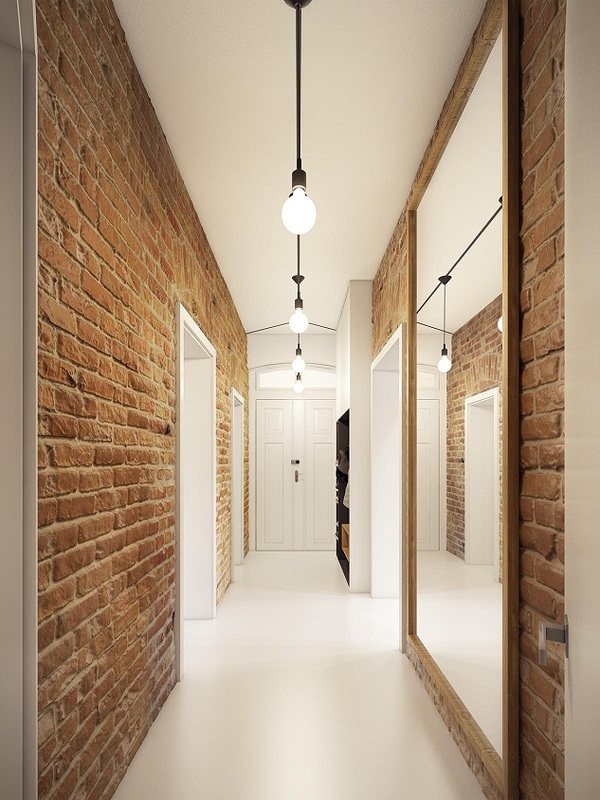 flanked by a brick wall naturally on both sides, black wardrob on the wall for a jacket and shoes, the interesting thing here is the presence of large glass walls to reflect light, this glass also serves as a mirror, how you look before you go out. whether useful ?? yes! 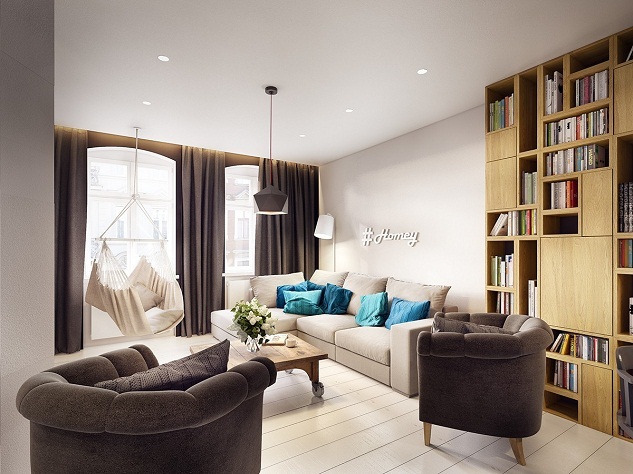 when you go deeper you will see an amazing apartment living space. 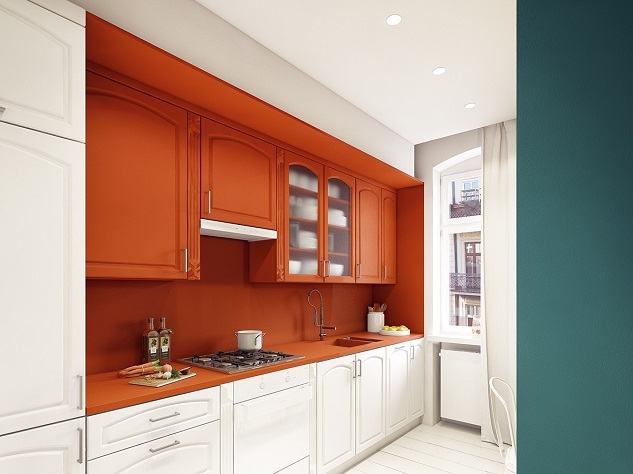 bright colors such as orange and blue colors dominate the walls. some neat comfortable sofas facing a large LCD screen. Orange background with geometric grooves create a 3D effect is also seen on the LCD screen wall, a hanging sofa with soft cushions make you more comfortable watching a movie on the LCD screen. 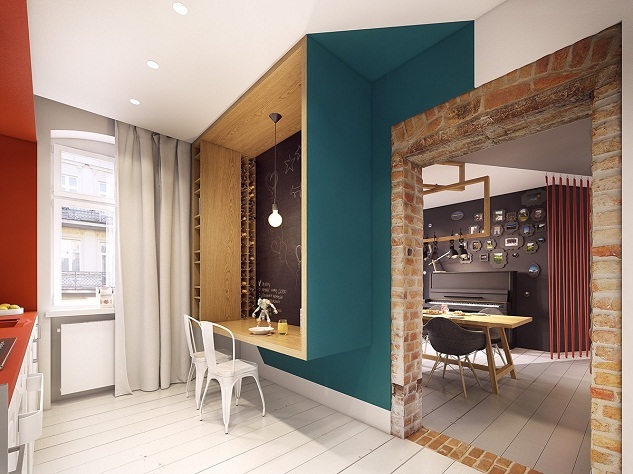 a work area apartment together with the living space, green color geometry on the walls give a 3D effect, a small wooden table with lighting comfortable allowing you to work or study with a focus, small bookcase on the table then bookcase great addition to the left as a reference book you ordered neat. 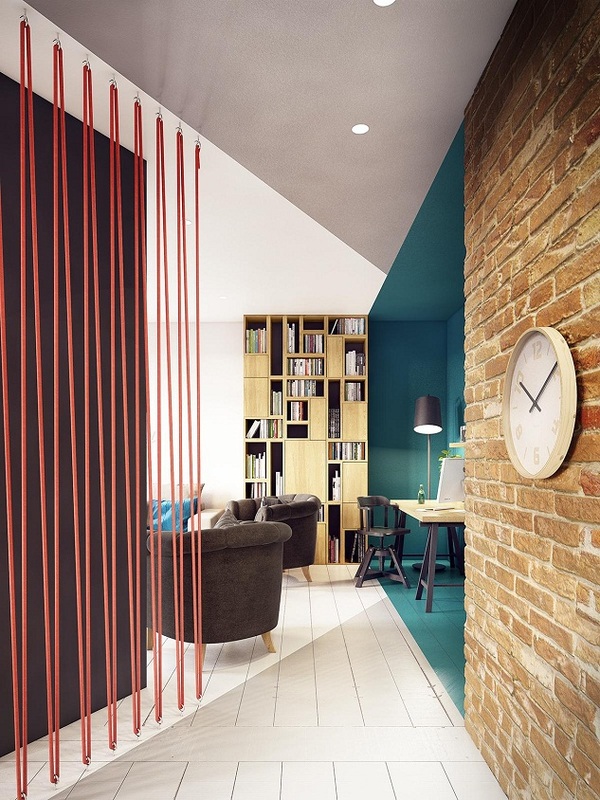 wooden floor connecting room with each other space, a unique room divider DIY strap-shaped orange welcome you to the next room, very creative. 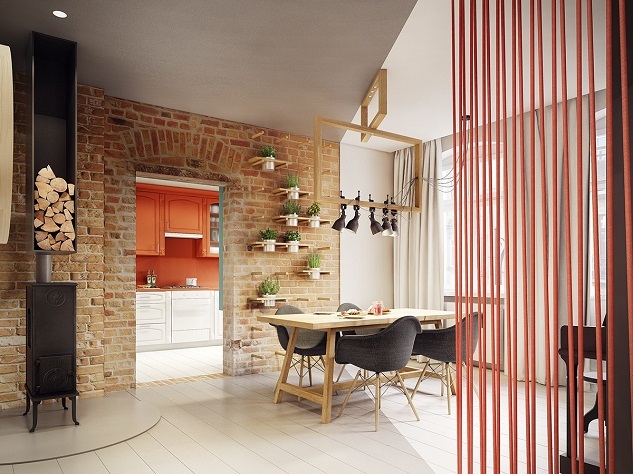 Rustic element is very strong when you enter the kitchen and dining room. 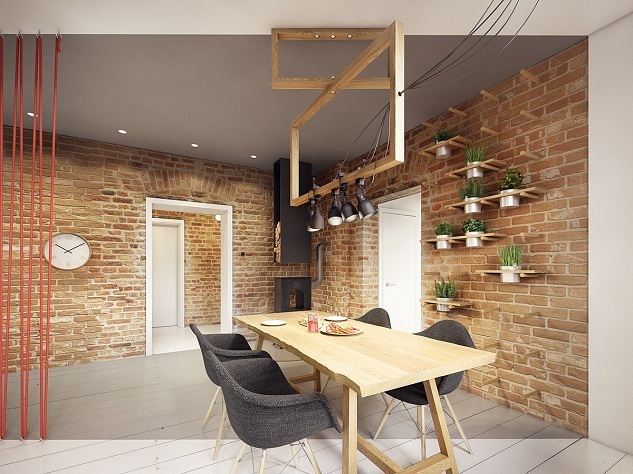 brick walls, wooden furniture, giving the impression of a traditional fireplace. 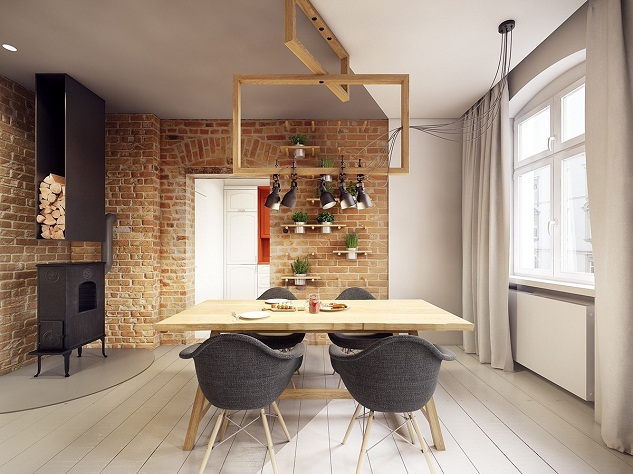 wooden table rests neatly in the middle of the room, a few green plants arranged neatly on the shelves of a brick wall. 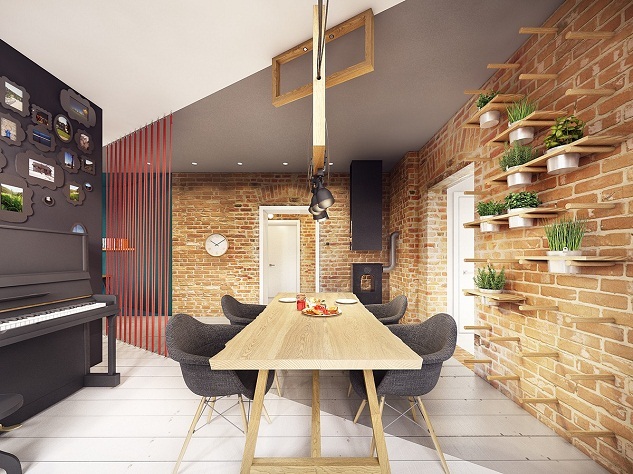 and the most unique here is the existence of a great classical piano ready to accompany your dinner. 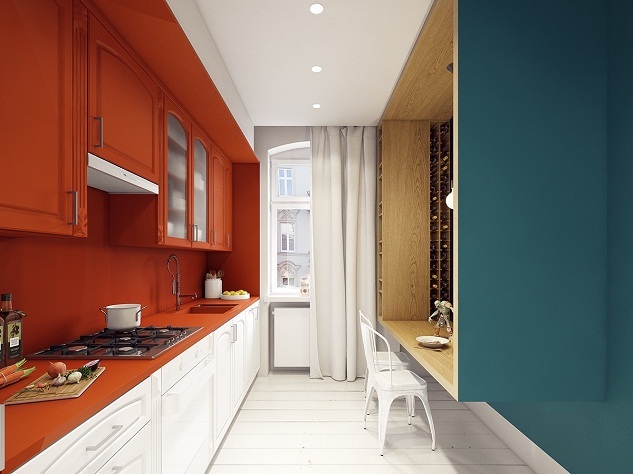 blue and orange colors also dominate the kitchen, a large kitchen storage cabinets set a modern look with the color orange. blue kitchen bar table with a black board to jot down notes or your agenda. very useful ! 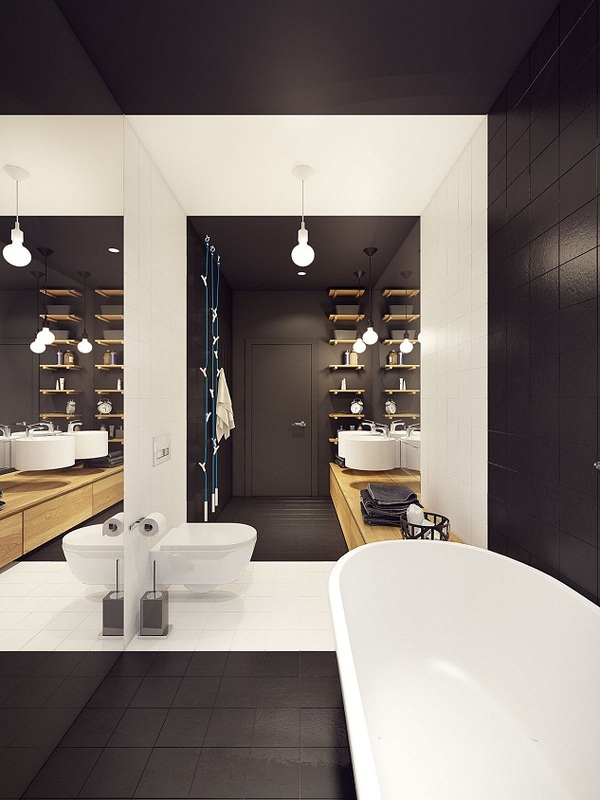 bathrooms entirely modern, without the element of rustic or contemporary style. 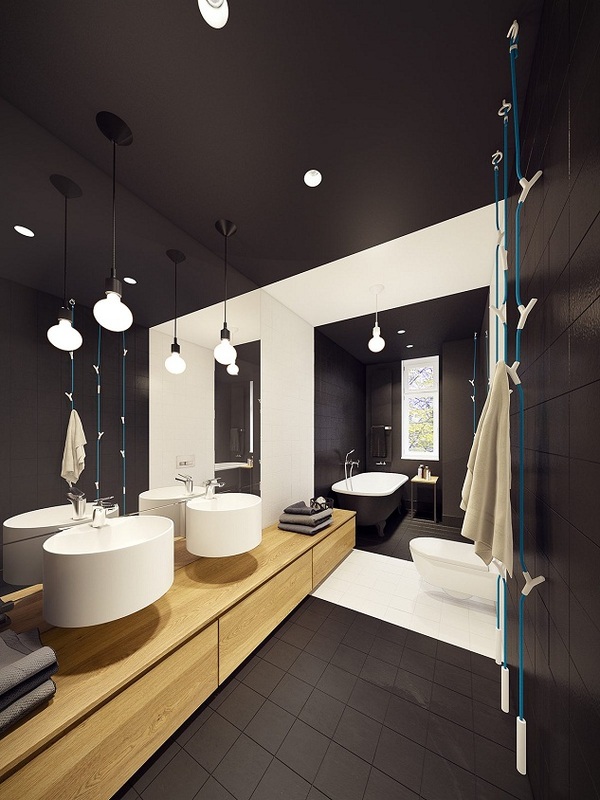 black color with bright white lighting. its totally modern. 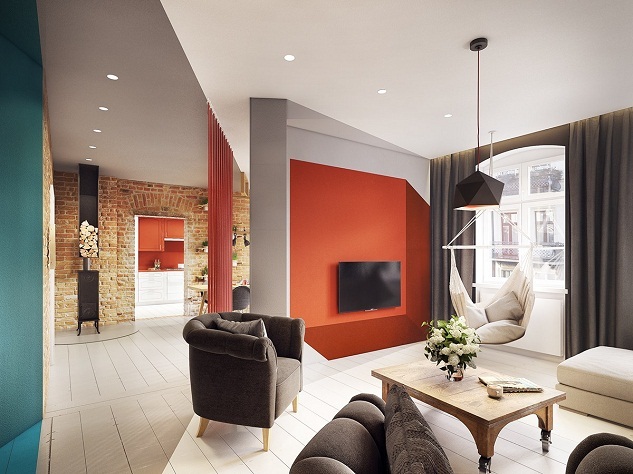 A few of our information about the This Is Modern Apartment Decor Ideas With Bold Geometric Colors, Read This Information, may be beneficial in the form infirasi to create a beautiful home and comfortable for your family and those you love. 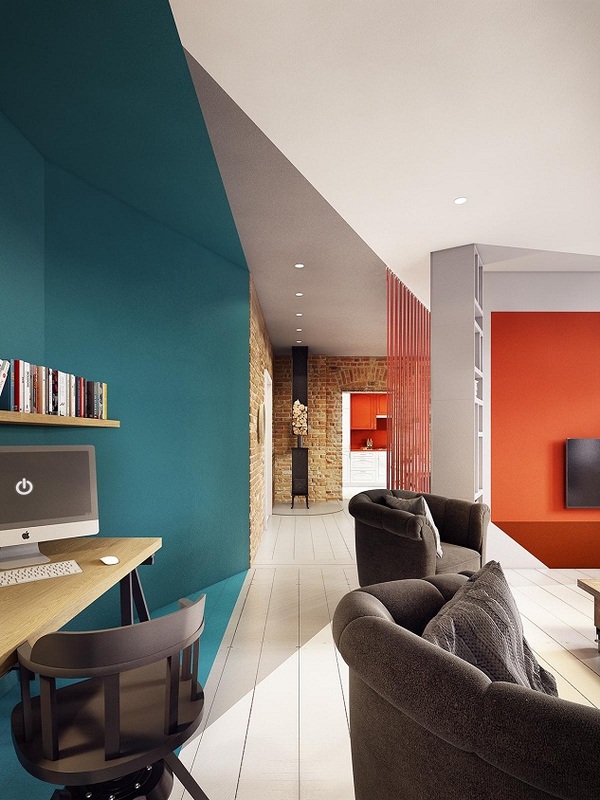 No've You've finished reading an article on This Is Modern Apartment Decor Ideas With Bold Geometric Colors, Read This Information and many articles about modern home in our blog this, please read it. 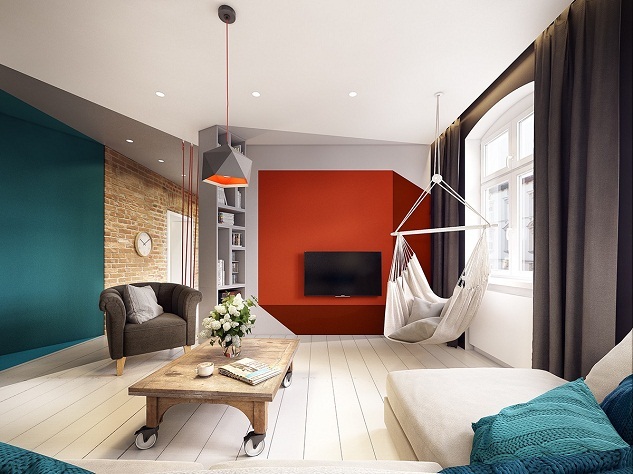 and url link of this article is https://eyjamasliza.blogspot.com/2016/07/this-is-modern-apartment-decor-ideas.html Hopefully discussion articles on could be useful and provide more knowledge for your life and family.